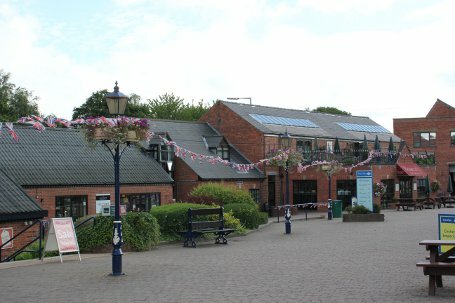 If you're out and about in the heart of Derbyshire anytime then you might be interested in visiting the Denby Pottery Visitor Centre. The Denby Pottery is situated just 15 miles from Chatsworth, is open most days and with free car parking and entrance to the centre free there's no reason not to stop by! 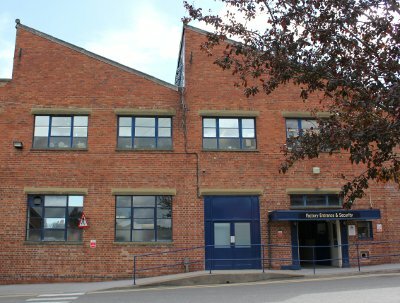 There is a small selection of shops around an open courtyard including the popular Denby Factory shop and at the end of the courtyard is the famous Denby Pottery. You are able to watch free demonstrations and the centre also offers fully guided tours of the pottery. The pottery entrance seen from the main road as you drive by and the entrance to the pottery from the courtyard - with the striking roof shape. 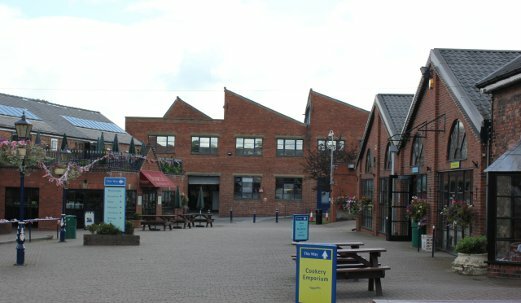 The Denby Visitor Centre courtyard around which sit the shops of which one houses a small but very interesting selection of older pieces of Denby Pottery. With a history stretching back to c1806 Denby Pottery is one of the few potteries still producing high quality domestic wares and nice decorative pottery today. 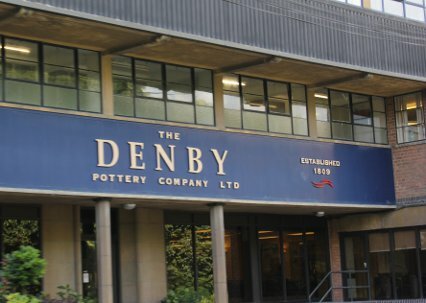 To view our full collection of Denby Pottery for sale - click here and to learn more about the Denby Pottery and its main visitor centre, please visit the Denby Pottery website - here. Lovely PenDelfin fine bone china plate - Caravan By Doreen Noel Roberts, a striking Troika Chimney vase by Sue Lowe, and a very bright and vivid PenDelfin Collectors Handbook by Stella Ashbrook and signed By Jean Walmsley Heap. Here is another pottery item that someone needs help in identifying. 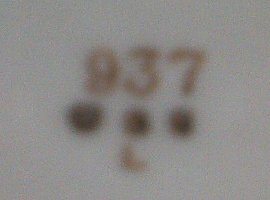 If you recognise the pottery mark on this tea service or can point the owners in the right direction then do let us know! Remember to check out our Pottery Marks Guide where you'll find a whole range of pottery marks and pottery dating advice...click here. "We have in our possession a tea service which we are unable to identify. 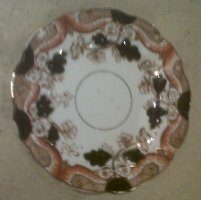 I have attached photos of one tea plate and the base mark from a cup"
Can you help identify this tea service or the pottery mark shown on its base? If so, please get in touch and we'll forward any information onto the owner.